And you thought you knew your country. 1. Emperor Ashoka had a secret society of nine intellectuals that exists even today. There is a popular legend that the Mauryan emperor Ashoka, who ruled from 268 to 232 B.C., had a secret society of nine intellectuals. The objective of the society is to pursue knowledge for the benefit of mankind, and to not allow methods of destruction to fall into the wrong hands. 2. An Indian created the world's first working aeroplane before the Wright brothers did. Many claim that the first working model of an aeroplane was created by Shivkar Bapuji Talpade in 1895, about eight years before the Wright brothers. It is said the plane flew up to 1,500 feet before crashing, but news of the achievement was suppressed by the British to avoid undermining their own technological progress. A fictionalised 2015 movie called Hawaizaade was based on Talpade's biography, thus renewing interest in the subject after many years. 3. The entire Nehru-Gandhi political dynasty is allegedly just one goddamn conspiracy after another. There's a whole freakin' list of conspiracies against the Nehru-Gandhi clan. Allegations include the claim that Jawaharlal Nehru's grandfather was a Delhi police officer named Ghiyasuddin Ghazi, who changed his name to Gangadhar Nehru to avoid being killed during the rebellion of 1857. Apart from Nehru's several alleged affairs, another popular conspiracy theory is that Indira Gandhi was expelled from Oxford university, as well as Shantiniketan. 4. Gandhi could have prevented Bhagat Singh's execution, but didn't. A lot of Gandhiji's critics claim that the father of the nation had the chance to stop the execution of Bhagat Singh and his comrades, but didn't. Some even suggest that Gandhi conspired against Bhagat Singh to have him executed, as they stood for very different ideologies. Gandhi supporters, on the other hand, argue that he pleaded for the commutation of their sentences, but didn't have enough influence over the British to make a difference. 5. Netaji Subhas Chandra Bose didn't die in a plane crash. Some of Netaji's biggest supporters outright denied the news that their leader had died in a plane crash, and stand by it even today. According to his most fervent followers, after news of his death spread, Bose lived on in Faizabad as "Gumnami Baba". 6. There is an active UFO base in India, at the foot of the Himalayas. According to locals, UFOs have been spotted coming out of Ladakh's Kongka La pass. It is one of the least accessible areas in the world, and whenever locals try to bring up any UFO sightings with the local government, they're asked to put a lid on it. Regardless, they're convinced of extra-terrestrial presence buried deep in the ground. 7. The Taj Mahal is apparently much older than we believe, and was originally a temple dedicated to Lord Shiva. In the book Taj Mahal: The True Story, P.N. Oak describes how the Taj Mahal was originally an ancient Shiva temple called Tejo Mahayala. To be fair, this is a guy who has also claimed that the Vatican City was a hindu temple, and is named after Vatika. He theorises that the temple-palace was commandeered by Shah Jahan from the Maharaja of Jaipur, debating that a tomb would never be called a "mahal", amongst many other arguments. 8. Mother Teresa was an undercover agent. One of the wildest conspiracy theories out there is that Mother Teresa was actually an American covert agent. Her real mission in India was to prevent Soviet influence from taking over India, before the U.S.S.R. dissolved. Believers of this theory cite her humanitarian work for the poor as a perfect cover for sending secret messages to American authorities for years. 9. The CIA lost a radioactive chunk of Plutonium in Nanda Devi and never found it. 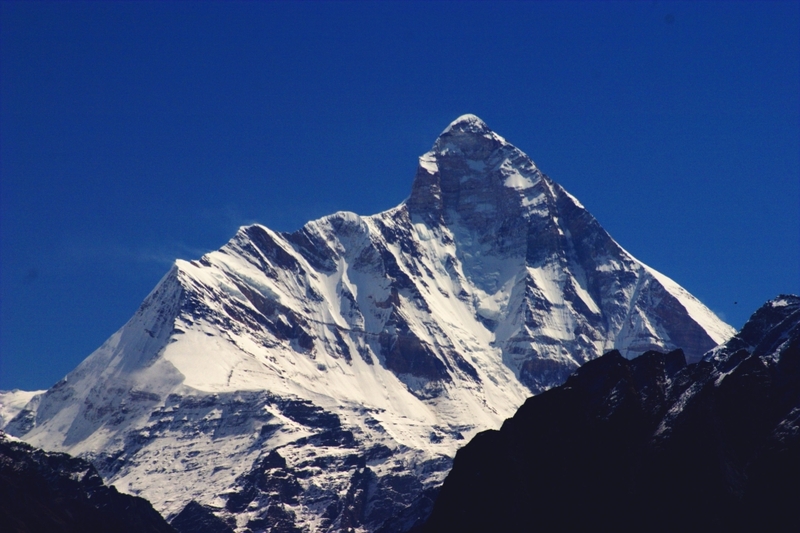 In 1965, the CIA planned to put a nuclear listening device at the summit of Nanda Devi, India's second-highest peak. The device contained plutonium, a highly radioactive substance. The expedition was abandoned due to bad weather, but they left the device there. When the team returned the following spring, the device was gone, and nobody has any official information on it to this day. 10. It was Kapil Dev, and not Mohammad Azharuddin, behind the match-fixing scandal that rocked Indian cricket. While Mohammad Azharuddin was found guilty of match-fixing in 2000, people alleged that there was someone far bigger at the centre of the whole thing – Kapil Dev. Manoj Prabhakar, who participated in Tehelka's investigation which led to the exposé, claimed that several cricketers were aware of Kapil Dev's involvement, but didn't testify against him in court due to Dev's stature and influence. 11. The tsunami that hit India, Sri Lanka, Thailand and Indonesia in 2004 was totally man-made. Many Egyptian and Middle Eastern publications alleged that the 2004 tsunami, which caused widespread destruction in a number of countries, was the result of a joint underwater weapons testing program between India, USA and Israel. 12. The "meteorite" that struck and killed a man earlier this year, was actually some kind of man-made explosion. In a public statement, NASA said that the photographs of India's alleged meteorite death are more consistent with a "land based explosion." That, coupled with the fact that there hasn't been a single recorded death by meteorite in human history, makes this a pretty strong claim. 13. India's famously successful Mars Orbiter mission is one elaborate hoax. There is an entire conspiracy theory dedicated to the notion that India's historic Mangalyaan Mars Orbiter mission is one hell of a hoax, designed to fool Indians into thinking they're a big part of the space race. Theorists bring attention to the fact that ISRO has released only 16 highly photoshopped images to the public, and no videos at all. Say it isn't so, ISRO.